Hufnagel DA, Depas WH, Chapman MR. Microbiol Spectr. 2015 Jun;3(3). doi: 10.1128/microbiolspec.MB-0014-2014. PMID: 26185090 Free PMC Article Similar articles Select item 11234933 67. Prigent-Combaret C, Prensier G, Le Thi TT, Vidal O, Lejeune P, Dorel C. Environ Microbiol. 2000 Aug;2(4):450-64. PMID: 11234933 Similar articles Select item 20483314 68. Thiele I, Fleming RM, Bordbar A, Schellenberger J, Palsson BØ. Biophys J. 2010 May 19;98(10):2072-81. doi: 10.1016/j.bpj.2010.01.060. PMID: 20483314 Free PMC Article Similar articles Select item 19473609 69. Biofilm formation by Escherichia coli isolated from patients with urinary tract infections. Salo J, Sevander JJ, Tapiainen T, Ikäheimo I, Pokka T, Koskela M, Uhari M. Clin Nephrol. 2009 May;71(5):501-7. PMID: 19473609 Similar articles Select item 16238013 70. Dobrindt U. Int J Med Microbiol. 2005 Oct;295(6-7):357-71. Review. PMID: 16238013 Similar articlesSelect item 17140750 71. 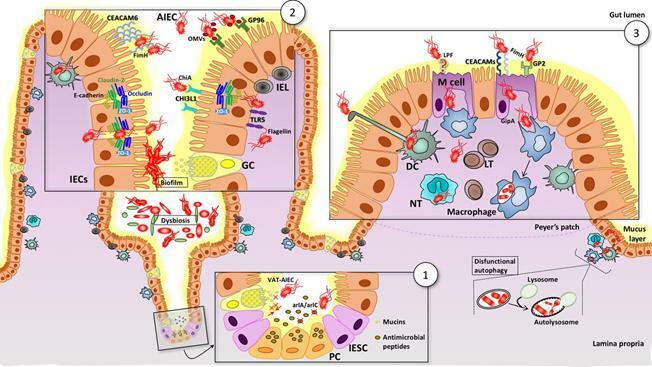 Contribution of AIDA-I to the pathogenicity of a porcine diarrheagenic Escherichia coli and to intestinal colonization through biofilm formation in pigs. Ravi M, Ngeleka M, Kim SH, Gyles C, Berthiaume F, Mourez M, Middleton D, Simko E.
Vet Microbiol. 2007 Mar 10;120(3-4):308-19. Epub 2006 Nov 30. PMID: 17140750 Similar articlesSelect item 25573177 72. Giardia duodenalis-induced alterations of commensal bacteria kill Caenorhabditis elegans: a new model to study microbial-microbial interactions in the gut. Gerbaba TK, Gupta P, Rioux K, Hansen D, Buret AG. Am J Physiol Gastrointest Liver Physiol. 2015 Mar 15;308(6):G550-61. doi: 10.1152/ajpgi.00335.2014. Epub 2015 Jan 8. PMID: 25573177 Free PMC Article Similar articlesSelect item 15757509 73. 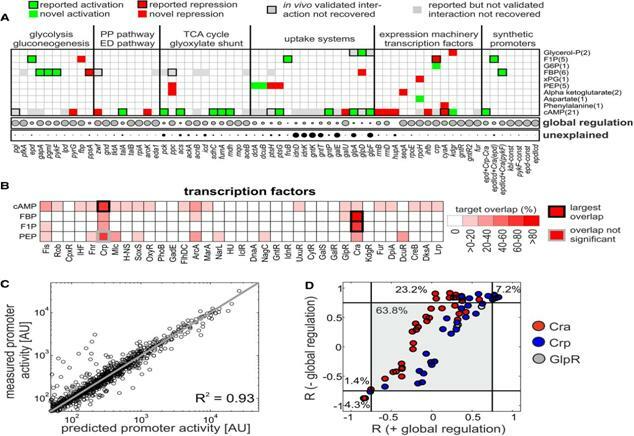 Gene fusions and gene duplications: relevance to genomic annotation and functional analysis. Serres MH, Riley M. BMC Genomics. 2005 Mar 9;6:33. PMID: 15757509 Free PMC Article Similar articlesSelect item 24033913 74. Comparative genomics and transcriptomics analysis of experimentally evolved Escherichia coli MC1000 in complex environments. Puentes-Téllez PE, Kovács ÁT, Kuipers OP, van Elsas JD. Environ Microbiol. 2014 Mar;16(3):856-70. doi: 10.1111/1462-2920.12239. Epub 2013 Aug 27. PMID: 24033913 Similar articlesSelect item 19282977 75. Thiele I, Jamshidi N, Fleming RM, Palsson BØ. PLoS Comput Biol. 2009 Mar;5(3):e1000312. doi: 10.1371/journal.pcbi.1000312. Epub 2009 Mar 13. PMID: 19282977 Free PMC Article Similar articlesSelect item 25397580 76. 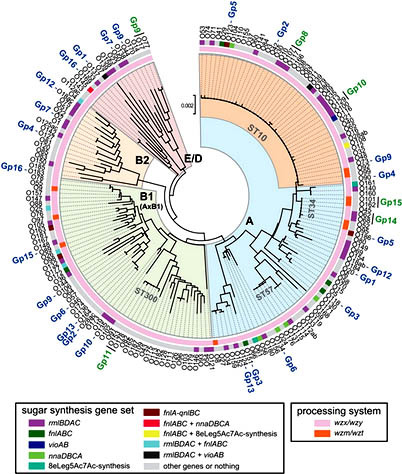 Comparative genomic analysis shows that avian pathogenic Escherichia coli isolate IMT5155 (O2:K1:H5; ST complex 95, ST140) shares close relationship with ST95 APEC O1:K1 and human ExPEC O18:K1 strains. Zhu Ge X, Jiang J, Pan Z, Hu L, Wang S, Wang H, Leung FC, Dai J, Fan H. PLoS o­ne. 2014 Nov 14;9(11):e112048. doi: 10.1371/journal.pone.0112048. eCollection 2014. PMID: 25397580 Free PMC ArticleSimilar articles Select item 22961420 77. Growth and characterization of Escherichia coli DH5α biofilm o­n concrete surfaces as a protective layer against microbiologically influenced concrete deterioration (MICD). Soleimani S, Ormeci B, Isgor OB. Appl Microbiol Biotechnol. 2013 Feb;97(3):1093-102. doi: 10.1007/s00253-012-4379-3. Epub 2012 Sep 9. PMID: 22961420 Similar articlesSelect item 22245553 78. After genomics, what proteomics tools could help us understand the antimicrobial resistance of Escherichia coli? Radhouani H, Pinto L, Poeta P, Igrejas G. J Proteomics. 2012 Jun 6;75(10):2773-89. doi: 10.1016/j.jprot.2011.12.035. Epub 2012 Jan 5. Review. PMID: 22245553 Similar articles Select item 12695045 79. Interaction with avian cells and colonisation of specific pathogen free chicks by Shiga-toxin negative Escherichia coli O157:H7 (NCTC 12900). Best A, La Ragione RM, Cooley WA, O'Connor CD, Velge P, Woodward MJ. Vet Microbiol. 2003 May 29;93(3):207-22. PMID: 12695045 Similar articlesSelect item 11238988 80. Escherichia coli and Salmonella 2000: the view from here. Role of the laboratory in the diagnosis of enterohemorrhagic Escherichia coli infections. Kehl SC. J Clin Microbiol. 2002 Aug;40(8):2711-5. No abstract available. PMID: 12149318 Free PMC Article Similar articlesSelect item 15071051 2. Multiplex PCR for diagnosis of enteric infections associated with diarrheagenic Escherichia coli. Vidal R, Vidal M, Lagos R, Levine M, Prado V. J Clin Microbiol. 2004 Apr;42(4):1787-9. PMID: 15071051 Free PMC Article Similar articles Select item 19773004 3. Deer sausage: a newly identified vehicle of transmission of Escherichia coli O157:H7. Ahn CK, Russo AJ, Howell KR, Holt NJ, Sellenriek PL, Rothbaum RJ, Beck AM, Luebbering LJ, Tarr PI. J Pediatr. 2009 Oct;155(4):587-9. doi: 10.1016/j.jpeds.2009.02.051. PMID: 19773004 Similar articlesSelect item 12506847 4. 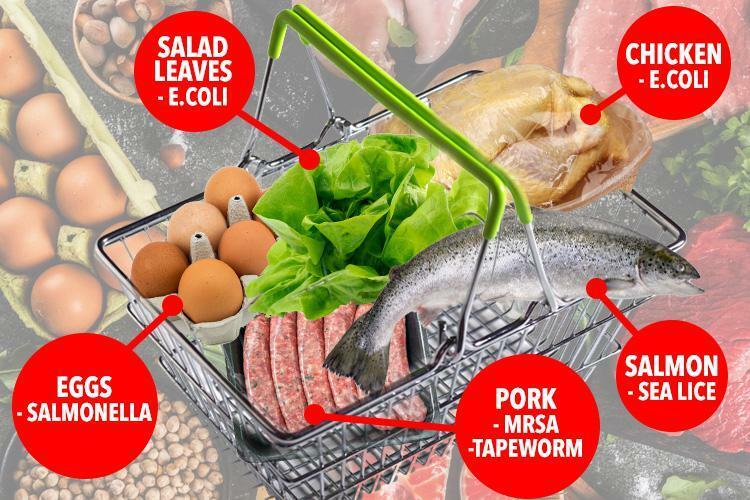 What's cooking with E. coli? The new, more sinister face of a familiar pathogen. Woodhouse S. MLO Med Lab Obs. 2002 Dec;34(12):14-6, 19-20; quiz 22-3. No abstract available. PMID: 12506847 Similar articlesSelect item 11494173 5. Assay validation is needed before presumption of Escherichia coli O157:H7 infection in persons with hemolytic uremic syndrome. Johnson JR. J Infect Dis. 2001 Sep 1;184(5):658-9. No abstract available. PMID: 11494173 Similar articlesSelect item 19273631 6. Pollock KG, Stewart A, Beattie TJ, Todd WT, Ahn CK, Tarr PI, Cowden JM. J Med Microbiol. 2009 Apr;58(Pt 4):397-8. doi: 10.1099/jmm.0.007179-0. No abstract available. PMID: 19273631 Similar articlesSelect item 10895489 7. Kokki M. Duodecim. 1998;114(3):197, 199, 201. Finnish. No abstract available. PMID: 10895489 Similar articlesSelect item 19685653 8. An 8-year-old girl with kidney failure. Listernick R. Pediatr Ann. 2009 Jul;38(7):355-8. No abstract available. PMID: 19685653 Similar articlesSelect item 10073283 9. Escherichia coli O157:H7 gastroenteritis and the hemolytic uremic syndrome: an emerging infectious disease. Besser RE, Griffin PM, Slutsker L. Annu Rev Med. 1999;50:355-67. Review. PMID: 10073283 Similar articlesSelect item 10403103 10. Epidemiology and diagnosis of Shiga toxin-producing Escherichia coli infections. Karch H, Bielaszewska M, Bitzan M, Schmidt H. Diagn Microbiol Infect Dis. 1999 Jul;34(3):229-43. Review. PMID: 10403103 Similar articlesSelect item 11003954 11. [What is your diagnosis? Bloody diarrhea]. Vázquez López ME, Fernández Iglesias JL, Fernández Montaña A, Cepedano Dans A, Morales Redondo R.
An Esp Pediatr. 2000 May;52(5):491-2. Spanish. No abstract available. PMID: 11003954 Similar articles Select item 9086775 12. [Bacteriological detection methods of enterohemorrhagic Escherichia coli]. Takeda Y. Nihon Rinsho. 1997 Mar;55(3):651-4. Review. Japanese. PMID: 9086775 Similar articlesSelect item 11764726 13. Tschäpe H, Fruth A. Contrib Microbiol. 2001;8:1-11. Review. No abstract available. PMID: 11764726 Similar articlesSelect item 2072218 14. Verotoxic Escherichia coli in human disease. Rosensweig JN, Gourley GR.J Pediatr Gastroenterol Nutr. 1991 Apr;12(3):295-304. Review. PMID: 2072218 Similar articlesSelect item 15494950 15. The role of Shiga-toxin-producing Escherichia coli in hemorrhagic colitis and hemolytic uremic syndrome. Cleary TG. Semin Pediatr Infect Dis. 2004 Oct;15(4):260-5. Review. PMID: 15494950 Similar articlesSelect item 9381722 16. [Enterohemorrhagic Escherichia coli and hemolytic-uremic syndrome]. Allerberger F, Sölder B, Caprioli A, Karch H. Wien Klin Wochenschr. 1997 Sep 19;109(17):669-77. Review. German. PMID: 9381722 Similar articlesSelect item 11303839 17. Hemolytic-uremic syndrome surveillance to monitor trends in infection with Escherichia coli O157 and non-O157 enterohemorrhagic E. coli in Austria. Fischer H, König P, Dierich MP, Allerberger F.
Pediatr Infect Dis J. 2001 Mar;20(3):316-8. PMID: 11303839 Similar articlesSelect item 11427755 18. Outbreak of enterohemorrhagic Escherichia coli O157 mass infection caused by "whole roasted cow". Yamamoto J, Ishikawa A, Miyamoto M, Nomura T, Uchimura M, Koiwai K. Jpn J Infect Dis. 2001 Apr;54(2):88-9. No abstract available. PMID: 11427755 Similar articlesSelect item 9086783 19. [Epidemiological study of hemolytic uremic syndrome associated with enterohemorrhagic Escherichia coli in Japan]. Takeda T, Yoshino K, Uchida H, Matsuda E, Yamagata M. Nihon Rinsho. 1997 Mar;55(3):693-9. Review. Japanese. No abstract available. PMID: 9086783 Similar articlesSelect item 8794177 20. 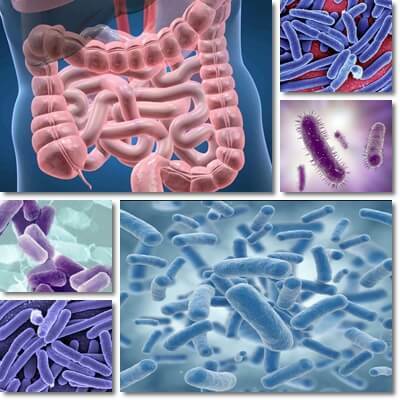 Escherichia coli O157:H7 infections: a frequent cause of bloody diarrhea and the hemolytic-uremic syndrome. Molecular microbiological investigation of an outbreak of hemolytic-uremic syndrome caused by dry fermented sausage contaminated with Shiga-like toxin-producing Escherichia coli. Paton AW, Ratcliff RM, Doyle RM, Seymour-Murray J, Davos D, Lanser JA, Paton JC. J Clin Microbiol. 1996 Jul;34(7):1622-7. PMID: 8784557 Free PMC Article Similar articlesSelect item 10895492 22. [Enterohemorrhagic Escherichia coli--infection and a hemolytic uremic syndrome]. Helminen M, Wisakanto KL, Raisio M, Baer M. Duodecim. 1998;114(3):229-32. Finnish. No abstract available. PMID: 10895492 Similar articlesSelect item 21660908 23. Bloody diarrhea caused by enterohemorrhagic Escherichia coli (EHEC). Neumann H, Hunstiger M, Langner C, Neurath MF, Vieth M. Endoscopy. 2011;43 Suppl 2 UCTN:E229-30. doi: 10.1055/s-0030-1256596. Epub 2011 Jun 9. No abstract available. PMID: 21660908 Similar articlesSelect item 8855679 24. A cluster of Escherichia coli O157:H7 infections with the hemolytic-uremic syndrome and death in California. A mandate for improved surveillance. Shefer AM, Koo D, Werner SB, Mintz ED, Baron R, Wells JG, Barrett TJ, Ginsberg M, Bryant R, Abbott S, Griffin PM. West J Med. 1996 Jul-Aug;165(1-2):15-9. PMID: 8855679 Free PMC Article Similar articlesSelect item 19643051 25. A case of verocytotoxin-producing Escherichia coli O157 from a private barbecue in South East England. Shipman AR, Jones SE, Smith G, Stewart B, McCarthy N. Euro Surveill. 2009 Jul 23;14(29). pii: 19273. PMID: 19643051 Free Article Similar articles Select item 14531383 26. Home-prepared hamburger and sporadic hemolytic uremic syndrome, Argentina. Rivas M, Caletti MG, Chinen I, Refi SM, Roldán CD, Chillemi G, Fiorilli G, Bertolotti A, Aguerre L, Sosa Estani S. Emerg Infect Dis. 2003 Sep;9(9):1184-6. No abstract available. PMID: 14531383 Free PMC Article Similar articles Select item 9466788 27. Detection and characterization of Shiga toxigenic Escherichia coli by using multiplex PCR assays for stx1, stx2, eaeA, enterohemorrhagic E. coli hlyA, rfbO111, and rfbO157. Paton AW, Paton JC. J Clin Microbiol. 1998 Feb;36(2):598-602. PMID: 9466788 Free PMC Article Similar articlesSelect item 18577165 28. Rapid culture-free identification and molecular typing of Shiga toxin-producing Escherichia coli by PCR-RFLP. Shima K, Kawamura N, Hinenoya A, Sugimoto N, Wu Y, Asakura M, Nishimura K, Nair GB, Yamasaki S. Microbiol Immunol. 2008 Jun;52(6):310-3. doi: 10.1111/j.1348-0421.2008.00038.x. PMID: 18577165 Free Article Similar articlesSelect item 17186967 29. 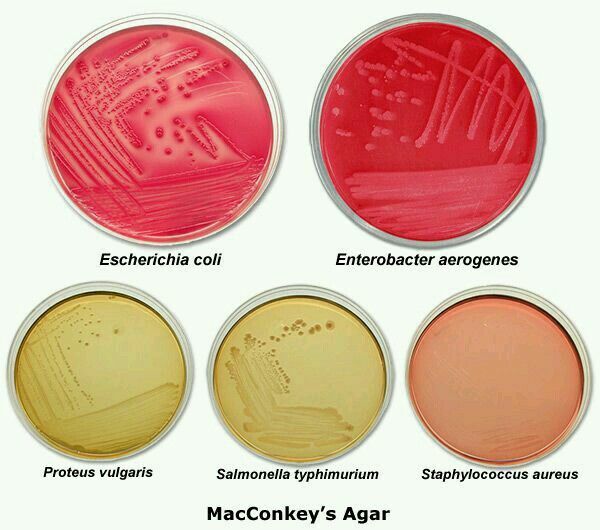 Outbreak of enterohemorrhagic Escherichia coli O157 attributed to a grilled-meat restaurant. Manago S, Kishikawa K, Tokunaga H, Funatsumaru S, Kubo Y, Sonoda M, Yoshihara T, Nasu F, Kasahara K. Jpn J Infect Dis. 2006 Dec;59(6):407-8. No abstract available. PMID: 17186967 Free Article Similar articlesSelect item 8903222 30. An outbreak of hemolytic uremic syndrome due to Escherichia coli O157:H7: or was it? Goldwater PN, Bettelheim KA. Emerg Infect Dis. 1996 Apr-Jun;2(2):153-4. No abstract available. PMID: 8903222 Free PMC Article Similar articles Select item 9011266 31. [Incidence of enterohemorrhagic E. coli in meat]. Junghannss U, Winterfeld S, Freerksen R. Gesundheitswesen. 1996 Aug-Sep;58(8-9):482-4. German. PMID: 9011266 Similar articlesSelect item 15829201 32. Rangel JM, Sparling PH, Crowe C, Griffin PM, Swerdlow DL. Emerg Infect Dis. 2005 Apr;11(4):603-9. PMID: 15829201 Free PMC Article Similar articles Select item 7931869 33. Escherichia coli O 157:H7-associated hemolytic-uremic syndrome after ingestion of contaminated hamburgers. Brandt JR, Fouser LS, Watkins SL, Zelikovic I, Tarr PI, Nazar-Stewart V, Avner ED. J Pediatr. 1994 Oct;125(4):519-26. PMID: 7931869 Similar articlesSelect item 9270349 34. Borie CF, Monreal Z, Martinez J, Arellano C, Prado V. Zentralbl Veterinarmed B. 1997 Jul;44(5):273-9. PMID: 9270349 Similar articles Select item 15076639 35. Escherichia coli O157:H7-associated hemolytic uremic syndrome and acute hepatocellular cholestasis: a case report. Riley MR, Lee KK. J Pediatr Gastroenterol Nutr. 2004 Mar;38(3):352-4. No abstract available. PMID: 15076639 Similar articlesSelect item 10191236 36. A large outbreak of hemolytic uremic syndrome caused by an unusual sorbitol-fermenting strain of Escherichia coli O157:H-. Ammon A, Petersen LR, Karch H. J Infect Dis. 1999 May;179(5):1274-7. PMID: 10191236 Similar articlesSelect item 8179752 37. Hemolytic uremic syndrome: just another case of gastroenteritis? Leo PJ, Cooper C, Songco C. Am J Emerg Med. 1994 May;12(3):358-63. PMID: 8179752 Similar articlesSelect item 16126276 38. Toxic megacolon complicating Escherichia coli O157 infection. Nayar DM, Vetrivel S, McElroy J, Pai P, Koerner RJ. J Infect. 2006 Apr;52(4):e103-6. Epub 2005 Aug 29. PMID: 16126276 Similar articlesSelect item 9743049 39. Escherichia coli and the hemolytic-uremic syndrome. Begue RE, Mehta DI, Blecker U. South Med J. 1998 Sep;91(9):798-804. Review. PMID: 9743049 Similar articlesSelect item 2182676 40. Culture confirmation of Escherichia coli serotype O157:H7 by direct immunofluorescence. Rapid procedure for detecting enterohemorrhagic Escherichia coli O157:H7 in food. Padhye NV, Doyle MP. Appl Environ Microbiol. 1991 Sep;57(9):2693-8. PMID: 1768144 Free PMC Article Similar articlesSelect item 10635805 42. [Escherichia coli verotoxin (relationship between verotoxin produced by E. coli O157: H7 and HUS)]. Matsunaga T, Komoda T. Nihon Rinsho. 1999 Nov;57 Suppl:172-5. Review. Japanese. No abstract available. PMID: 10635805 Similar articles Select item 10608152 43. [Enterohemorrhagic Escherichia coli O157:H7 infection]. Rocchi G, Capozzi M. Recenti Prog Med. 1999 Nov;90(11):613-8. Review. Italian. PMID: 10608152 Similar articlesSelect item 15930195 44. Relative nephroprotection during Escherichia coli O157:H7 infections: association with intravenous volume expansion. Ake JA, Jelacic S, Ciol MA, Watkins SL, Murray KF, Christie DL, Klein EJ, Tarr PI. Pediatrics. 2005 Jun;115(6):e673-80. PMID: 15930195 Similar articlesSelect item 16788232 45. 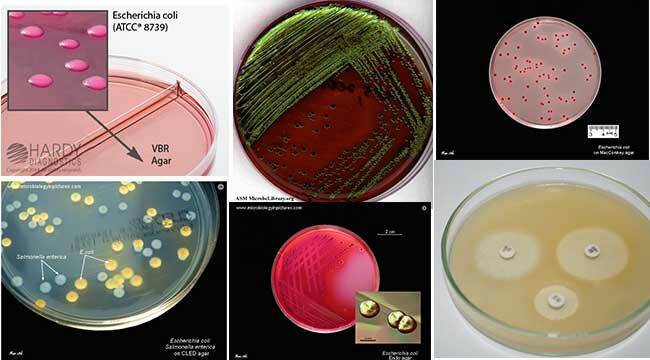 Fatal case of HUS after VTEC E. coli O145 infection in Slovenia highlights importance of testing for this rare strain. Kraigher A, Seme K, Krt-Lah A, Fisher I. Euro Surveill. 2005 Sep 15;10(9):E050915.2. No abstract available. PMID: 16788232 Similar articlesSelect item 8502176 46. Detection of verocytotoxin from stool and serological testing of patients with diarrhea caused by Escherichia coli O157 : H7. Yamada S, Matsushita S, Kai A, Sasaki M, Tsuji A, Kanemitsu T, Yamashita N, Anzai E, Kudoh Y. Microbiol Immunol. 1993;37(2):111-8. PMID: 8502176 Free Article Similar articlesSelect item 10816611 47. A clinical and bacteriological study of children suffering from haemolytic uraemic syndrome in Tucuman, Argentina. Miceli S, Jure MA, de Saab OA, de Castillo MC, Rojas S, de Holgado AP, de Nader OM. Jpn J Infect Dis. 1999 Apr;52(2):33-7. PMID: 10816611 Similar articlesSelect item 19745509 48. Occurrence of Escherichia coli O157:H7 in retail raw meat products in Ethiopia. Hiko A, Asrat D, Zewde G. J Infect Dev Ctries. 2008 Oct 1;2(5):389-93. PMID: 19745509 Free Article Similar articlesSelect item 10880188 49. 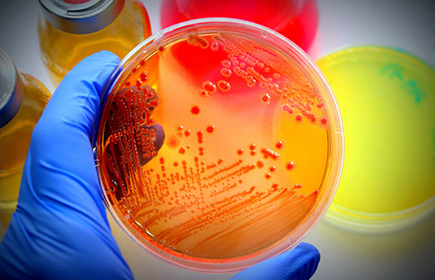 Methods for the detection and isolation of Shiga toxin-producing Escherichia coli. De Boer E, Heuvelink AE. Symp Ser Soc Appl Microbiol. 2000;(29):133S-143S. Review. PMID: 10880188 Similar articlesSelect item 10596399 50. 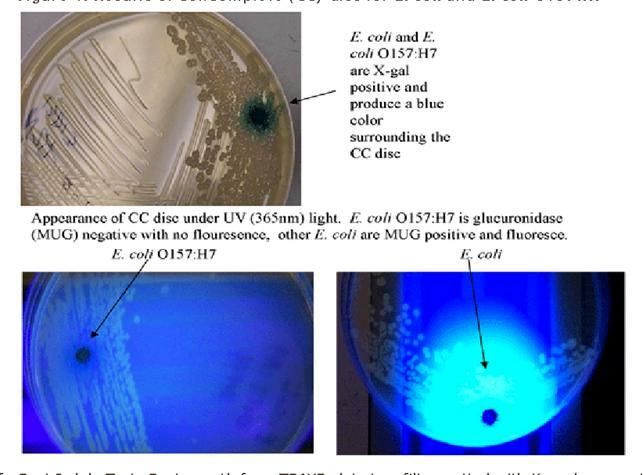 [The occurrence of Shiga toxin-producing Escherichia coli in humans and animals]. Heuvelink AE. Tijdschr Diergeneeskd. 1999 Nov 15;124(22):671-8. Dutch. PMID: 10596399 Similar articlesSelect item 14993566 51. Culturing practices and antibiotic use in children with diarrhea. Beatty ME, Griffin PM, Tulu AN, Olsen SJ. Pediatrics. 2004 Mar;113(3 Pt 1):628-9. No abstract available. PMID: 14993566 Similar articlesSelect item 9086782 52. [Sporadic cases of hemolytic uremic syndrome and hemorrhagic colitis with serum IgM antibodies to lipopolysaccharides of enterohemorrhagic Escherichia coli O157]. Shiomi M, Togawa M. Nihon Rinsho. 1997 Mar;55(3):686-92. Review. Japanese. PMID: 9086782 Similar articlesSelect item 17953903 53. [Characterization of Escherichia coli O157:H7 strains isolated from sporadic cases of hemolytic-uremic syndrome in children]. Latorre-Martínez JC, García-Lozano T, Blanco J, Buesa J. Enferm Infecc Microbiol Clin. 2007 Nov;25(9):603-4. Spanish. No abstract available. PMID: 17953903 Similar articlesSelect item 10186955 54. Emerging foodborne pathogens: enterohemorrhagic Escherichia coli. Nauschuetz W. Clin Lab Sci. 1998 Sep-Oct;11(5):298-304. Review. PMID: 10186955 Similar articlesSelect item 9301577 55. Enterohemorrhagic Escherichia coli O157:H7--an emerging pathogen. Koutkia P, Mylonakis E, Flanigan T. Am Fam Physician. 1997 Sep 1;56(3):853-6, 859-61. Review. PMID: 9301577 Similar articlesSelect item 8577558 56. Escherichia coli O157:H7-associated hemolytic-uremic syndrome: value of colonic color Doppler sonography. Friedland JA, Herman TE, Siegel MJ. Pediatr Radiol. 1995 Nov;25 Suppl 1:S65-7. PMID: 8577558 Similar articlesSelect item 8078733 57. Hemolytic-uremic syndrome and enterohemorrhagic Escherichia coli. Pickering LK, Obrig TG, Stapleton FB. Pediatr Infect Dis J. 1994 Jun;13(6):459-75; quiz 476. Review. No abstract available. PMID: 8078733 Similar articlesSelect item 12143430 58. Escherichia coli O157:H7: etiology, clinical features, complications, and treatment. Peacock E, Jacob VW, Fallone SM. Nephrol Nurs J. 2001 Oct;28(5):547-50, 553-5; quiz 556-7. Review. PMID: 12143430 Similar articlesSelect item 10927836 59. Escherichia coli O157:H7 infections associated with ground beef and their control in Canada. Todd EC. Can Commun Dis Rep. 2000 Jul 1;26(13):111-6. English, French. No abstract available. PMID: 10927836 Free Article Similar articlesSelect item 12500215 60. Adult nondiarrhea hemolytic uremic syndrome associated with Shiga toxin Escherichia coli O157:H7 bacteremia and urinary tract infection. [Indicators for early diagnosis of enterohemorrhagic Escherichia coli infection and methods for final diagnosis]. Shiomi M. Nihon Rinsho. 2002 Jun;60(6):1108-13. Review. Japanese. PMID: 12078081 Similar articles Select item 9635338 62. Escherichia coli O157 in Somerset. [No authors listed]. Commun Dis Rep CDR Wkly. 1998 May 8;8(19):167. No abstract available. PMID: 9635338 Similar articlesSelect item 19102057 63. Enterohemorrhagic Escherichia coli O157:H7: case report. Erdoğan H, Erdoğan A, Levent B, Kayali R, Arslan H. Turk J Pediatr. 2008 Sep-Oct;50(5):488-91. PMID: 19102057 Similar articlesSelect item 16245735 64. Prevalence of Shiga toxin-producing Escherichia coli in beef cattle. Hussein HS, Bollinger LM. J Food Prot. 2005 Oct;68(10):2224-41. Review. PMID: 16245735 Similar articlesSelect item 10880325 65. An Escherichia coli O157:H7 outbreak? Bettelheim KA, Goldwater PN. Clin Infect Dis. 2000 Jun;30(6):984. No abstract available. PMID: 10880325 Similar articlesSelect item 9019658 66. Rossboth DW. N Engl J Med. 1997 Feb 13;336(7):515; author reply 515-6. No abstract available. PMID: 9019658 Similar articlesSelect item 8656862 67. [Enterohemorrhagic Escherichia coli. A new contagious disease in Sweden]. Ljungh A. Lakartidningen. 1996 Apr 3;93(14):1323-4. Swedish. No abstract available. PMID: 8656862 Similar articlesSelect item 7737796 68. [Diagnosis of yersinioses and infections with enterohemorrhagic Escherichia coli]. Heesemann J, Karch H. Internist (Berl). 1995 Feb;36(2):102-5. Review. German. No abstract available. PMID: 7737796 Similar articlesSelect item 17002034 69. Hemolytic uremic syndrome: an emerging health risk. Razzaq S. Am Fam Physician. 2006 Sep 15;74(6):991-6. Review. PMID: 17002034 Free Article Similar articlesSelect item 8710429 70. [Enterohaemorrhagic Escherichia coli O157:H7 infection]. Michałowicz-Wojczyńska E, Gawrych P. Pediatr Pol. 1996 May;71(5):453-8. Review. Polish. PMID: 8710429 Similar articlesSelect item 8347705 71. [Pathogenesis, epidemiology, and microbiologic diagnosis of infections caused by verotoxin-producing enterohemorrhagic Escherichia coli]. Blanco J, Blanco M, Blanco JE, Alonso MP, Escribano A. Enferm Infecc Microbiol Clin. 1993 Jun-Jul;11(6):324-34. Review. Spanish. No abstract available. PMID: 8347705 Similar articlesSelect item 1583116 72. Indirect hemagglutination assay for diagnosis of Escherichia coli O157 infection in patients with hemolytic-uremic syndrome. Bitzan M, Karch H. J Clin Microbiol. 1992 May;30(5):1174-8. PMID: 1583116 Free PMC Article Similar articlesSelect item 1649843 73. Haemorrhagic colitis and haemolytic-uraemic syndrome: false positive reaction with a rotavirus latex agglutination test. Bendall RP, Gray JJ. J Clin Pathol. 1991 Jul;44(7):609-10. PMID: 1649843 Free PMC Article Similar articlesSelect item 18629535 74. Prolonged anemia by superinfection of parvovirus B19 in a boy with enterohemorrhagic Escherichia coli O157-associated hemolytic uremic syndrome. Orimo K, Ukeba Y, Koseki N, Saita Y, Kobayashi I. Eur J Pediatr. 2009 Apr;168(4):501-2. doi: 10.1007/s00431-008-0783-1. Epub 2008 Jul 16. PMID: 18629535 Similar articlesSelect item 15338982 75. [Enterohemorrhagic Escherichia coli and hemolytic-uremic syndrome in Argentina]. Rivero MA, Padola NL, Etcheverría AI, Parma AE. Medicina (B Aires). 2004;64(4):352-6. Review. Spanish. PMID: 15338982 Similar articlesSelect item 9791563 76. [Hemorrhagic colitis and hemolytic uremic syndrome caused by Escherichia coli O157:H7]. Attar A, Becheur H, Gilbert T, Bloch F, Petite JP. Ann Med Interne (Paris). 1998 Sep;149(5):288-90. French. PMID: 9791563 Similar articlesSelect item 9460265 77. [Temporal variation of genotypes and serotypes of enterohemorrhagic E Coli isolated from Chilean children with intestinal infections or hemolytic uremic syndrome]. Prado V, Martínez J, Arellano C, Levine MM. Rev Med Chil. 1997 Mar;125(3):291-7. Spanish. PMID: 9460265 Similar articles Select item 11073778 78. The low prevalence of shiga-toxin production among sorbitol non-fermenting Escherichia coli urinary tract isolates does not warrant routine screening. Wilson D, Tuohy M, Procop GW. Clin Infect Dis. 2000 Nov;31(5):1313. No abstract available. PMID: 11073778 Similar articlesSelect item 8014086 79. 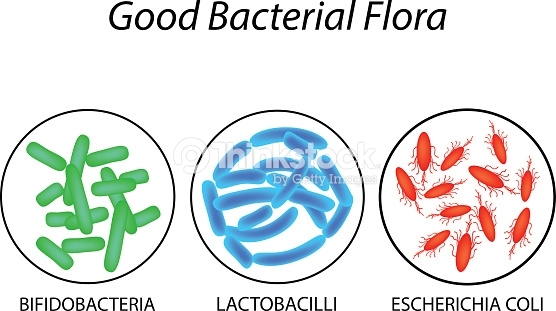 Animals as a source of Escherichia coli pathogenic for human beings. Whipp SC, Rasmussen MA, Cray WC Jr. J Am Vet Med Assoc. 1994 Apr 15;204(8):1168-75. Review. PMID: 8014086 Similar articlesSelect item 10671349 80. Shiga toxin-producing Escherichia coli urinary tract infection associated with hemolytic-uremic syndrome in an adult and possible adverse effect of ofloxacin therapy. Hemolytic uremic syndrome due to shiga-like toxin producing Escherichia coli 048:H21 in South Australia. Goldwater PN, Bettelheim KA. Emerg Infect Dis. 1995 Oct-Dec;1(4):132-3. No abstract available. PMID: 8903183 Free PMC Article Similar articlesSelect item 9033424 82. 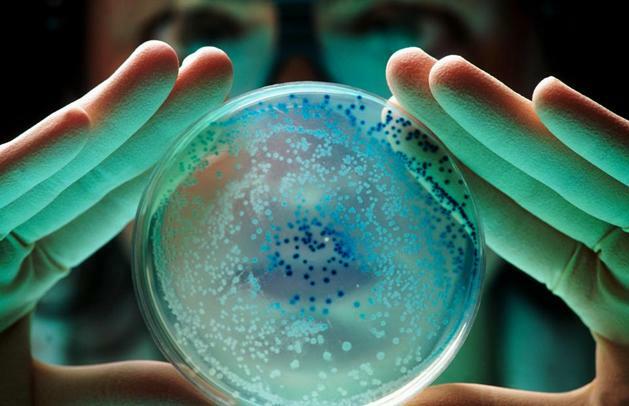 A new source of Escherichia coli infection. [No authors listed]. CMAJ. 1997 Feb 1;156(3):401-2. English, French. No abstract available. 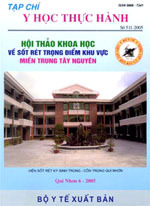 PMID: 9033424 Free PMC Article Similar articlesSelect item 8781876 83. Control of enterohaemorrhagic Escherichia coli infection: the need for a network involving microbiological laboratories and clinical and public health institutions. Karch H. Eur J Clin Microbiol Infect Dis. 1996 Apr;15(4):276-80. No abstract available. PMID: 8781876 Similar articlesSelect item 28597511 84. Successful Treatment of Enterohemorrhagic Escherichia coli-Induced Acute Encephalopathy and Hemolytic-Uremic Syndrome With Polymyxin-B Direct Hemoperfusion. Kaneda H, Shimizu M, Yachie A. Ther Apher Dial. 2017 Aug;21(4):419-421. doi: 10.1111/1744-9987.12543. Epub 2017 Jun 8. No abstract available. PMID: 28597511 Similar articlesSelect item 16809821 85. Outbreak of haemolytic uraemic syndrome in Norway: update. Schimmer B; Outbreak Investigation Team. Euro Surveill. 2006 Apr 6;11(4):E060406.2. No abstract available. PMID: 16809821 Similar articlesSelect item 28352987 86. Hemolytic uremic syndrome caused by E. coli O157 infection. Bystrom PV, Beck RJ, Prahlow JA. Forensic Sci Med Pathol. 2017 Jun;13(2):240-244. doi: 10.1007/s12024-017-9852-y. Epub 2017 Mar 28. No abstract available. PMID: 28352987 Similar articlesSelect item 21559739 87. Gastrointestinal dysfunction following hemolytic uremic syndrome. Bowles C, Ancker M, Triadafilopoulos G. Dig Dis Sci. 2011 Aug;56(8):2241-3. doi: 10.1007/s10620-011-1733-8. Epub 2011 May 11. No abstract available. PMID: 21559739 Similar articlesSelect item 10470309 88. Emerging and re-emerging diseases--epidemic enterohaemorrhagic infections 100 years after Shiga. Wittenberg DF. S Afr Med J. 1999 Jul;89(7):750-2. No abstract available. PMID: 10470309 Similar articlesSelect item 17338313 89. [Development of O-serogroup serodiagnosis for patients with hemolytic uremic syndrome by Ec-LPS array]. Amano K, Yatsuyanagi J, Saito S. Kansenshogaku Zasshi. 2007 Jan;81(1):26-32. Japanese. PMID: 17338313 Similar articlesSelect item 11238553 90. Pathogenesis and evolution of virulence in enteropathogenic and enterohemorrhagic Escherichia coli. Donnenberg MS, Whittam TS. J Clin Invest. 2001 Mar;107(5):539-48. Review. No abstract available. PMID: 11238553 Free PMC Article Similar articlesSelect item 12643624 91. Pancreatitis and E. coli O157:H7 colitis without hemolytic uremic syndrome. Sass DA, Chopra KB, Regueiro MD. Dig Dis Sci. 2003 Feb;48(2):415-6. No abstract available. PMID: 12643624 Similar articlesSelect item 7637517 92. Improved detection of Escherichia coli O157. Wright PA, Bell D, Johnson A, Bolton EJ. Lancet. 1995 Aug 19;346(8973):514. No abstract available. PMID: 7637517 Similar articlesSelect item 7729656 93. A newly recognized source of Escherichia coli O157:H7 infections. Hornsby-Lewis L. Gastroenterology. 1995 May;108(5):1597-9. No abstract available. 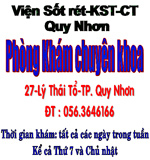 PMID: 7729656 Similar articlesSelect item 24467800 94. Successful treatment of enterohemorrhagic Escherichia coli O111-induced acute encephalopathy and hemolytic-uremic syndrome with plasma diafiltration. Shimizu M, Nakayama Y, Taniguchi T. Ther Apher Dial. 2014 Oct;18(5):516-8. doi: 10.1111/1744-9987.12165. Epub 2014 Jan 27. No abstract available. PMID: 24467800 Similar articlesSelect item 1808994 95. The effect of human milk o­n the adherence of enterohemorrhagic E. coli to rabbit intestinal cells. Ashkenazi S, Newburg DS, Cleary TG. Adv Exp Med Biol. 1991;310:173-7. No abstract available. PMID: 1808994 Similar articlesSelect item 22416108 96. JAMA patient page. Hemolytic uremic syndrome. Punnoose AR, Lynm C, Golub RM. JAMA. 2012 Mar 14;307(10):1098. doi: 10.1001/jama.2012.225. No abstract available. PMID: 22416108 Similar articlesSelect item 8505578 97. 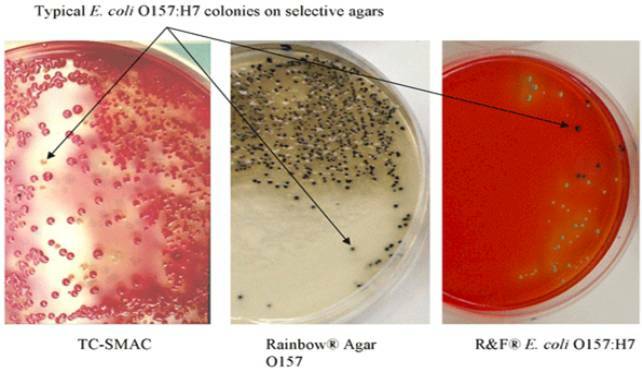 Detection of faecal IgA in the diagnosis of infection by Escherichia coli O157. Siddons CA, Chapman PA. J Infect. 1993 May;26(3):343-4. No abstract available. PMID: 8505578Similar articlesSelect item 10453204 98. Diagnosis and therapeutic guidelines for hemolytic uremic syndrome associated with enterohemorrhagic Escherichia coli infection. Japanese Pediatric Nephrology Association. [No authors listed].Pediatr Int. 1999 Aug;41(4):449-51. No abstract available. PMID: 10453204 Similar articlesSelect item 15067849 99. Has licensing improved hygiene in butchers' shops? Cree L, House R, Cowden JM. Commun Dis Public Health. 2003 Dec;6(4):275-6. No abstract available. PMID: 15067849 Similar articlesSelect item 24508267 100. [Mesenteric panniculitis of the colon]. An Unusual Cause of Intussusception. Hashimoto R, Yamamoto Y, Tanuma T. J Gastrointestin Liver Dis. 2015 Dec;24(4):412. doi: 10.15403/jgld.2014.1121.244.int. No abstract available. PMID: 26697565 Free Article Similar articlesSelect item 19360551 102. Infected duplication of the ascending colon. Zwaveling S, Tytgat SH, Kramer WL, van der Zee DC. Eur J Pediatr Surg. 2009 Dec;19(6):407-9. doi: 10.1055/s-0029-1202856. No abstract available. PMID: 19360551 Similar articlesSelect item 9459417 103. Diagnosing Escherichia coli O157 gastroenteritis. Torrens JK. J Infect. 1997 Nov;35(3):321. No abstract available. PMID: 9459417 Similar articlesSelect item 9275927 104. Enterohemorrhagic colitis caused by Escherichia coli: CT findings. Ferrer MD, Pallardó Y, Nogués E. AJR Am J Roentgenol. 1997 Sep;169(3):912. No abstract available. PMID: 9275927 Similar articlesSelect item 18319442 105. Hemolytic-uremic syndrome in a postpartum mare concurrent with encephalopathy in the neonatal foal. Dickinson CE, Gould DH, Davidson AH, Avery PR, Legare ME, Hyatt DR, DebRoy C. J Vet Diagn Invest. 2008 Mar;20(2):239-42. PMID: 18319442 Similar articlesSelect item 8040803 106. Hemorrhagic colitis in a toddler. Walsh S. J Pediatr Health Care. 1994 Jul-Aug;8(4):191, 199-200. No abstract available. PMID: 8040803 Similar articlesSelect item 24895397 107. Maeshiro T, Hokama A, Fujita J. BMJ Case Rep. 2014 Jun 3;2014. pii: bcr2014205199. doi: 10.1136/bcr-2014-205199. No abstract available. PMID: 24895397 Free PMC Article Similar articlesSelect item 10233001 108. 2nd International Symposium of the European Study Group o­n Enterohemorrhagic Escherichia coli. Brussels, Belgium, April 16-17, 1999. Abstracts. [No authors listed]. Acta Clin Belg. 1999 Jan-Feb;54(1):33-52. No abstract available. PMID: 10233001 Similar articlesSelect item 13742767 109. 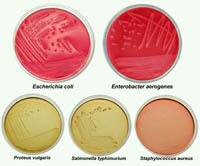 Laboratory diagnosis of gastroenteritis due to Escherichia coli. ROGERS KB, TAYLOR J. Bull World Health Organ. 1961;24:59-71. No abstract available. PMID: 13742767 Free PMC Article Similar articlesSelect item 23342588 110. [Infectious diseases: progress in diagnosis and treatment. Topics: III. Emerging and re-emerging infectious diseases; 3. 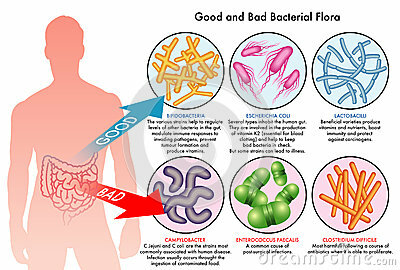 Gastrointestinal infection associated with consumption of raw meats]. Terajima J. Nihon Naika Gakkai Zasshi. 2012 Nov 10;101(11):3154-61. Japanese. No abstract available. PMID: 23342588 Similar articlesSelect item 14197635 111. [DIAGNOSIS BY IMMUNOFLUORESCENCE OF ESCHERICHIA COLI GASTROENTERITIS]. LINZ R, LEJOUR M. Acta Clin Belg. 1964;19:237-47. French. No abstract available. PMID: 14197635 Similar articlesSelect item 24021652 112. Kenzaka T, Ueda Y. Rev Assoc Med Bras (1992). 2013 Sep-Oct;59(5):411-2. doi: 10.1016/j.ramb.2013.04.003. Epub 2013 Sep 7. No abstract available. PMID: 24021652 Free Article Similar articles Select item 11396418 113. [Prolonged fever and pain in the right upper quadrant in an elderly woman]. Ramos JM, Blázquez RM, Girela E, Moreno S. Enferm Infecc Microbiol Clin. 2001 Mar;19(3):125-6. Spanish. No abstract available. PMID: 11396418 Similar articlesSelect item 14899944 114. [Clinical aspect of dysentery and leukocyte level in infants].